Some would argue that if you’ve got the best talent that it’s easier to be successful. OK, that could certainly give you a head start but they probably won’t reach their full potential unless they have the ability to work together, and contribute to the common goal. You’ve seen it a million times, a room full of all-stars all trying to work together? Really? How’d that work out? My thought is that talent alone won’t get you there. 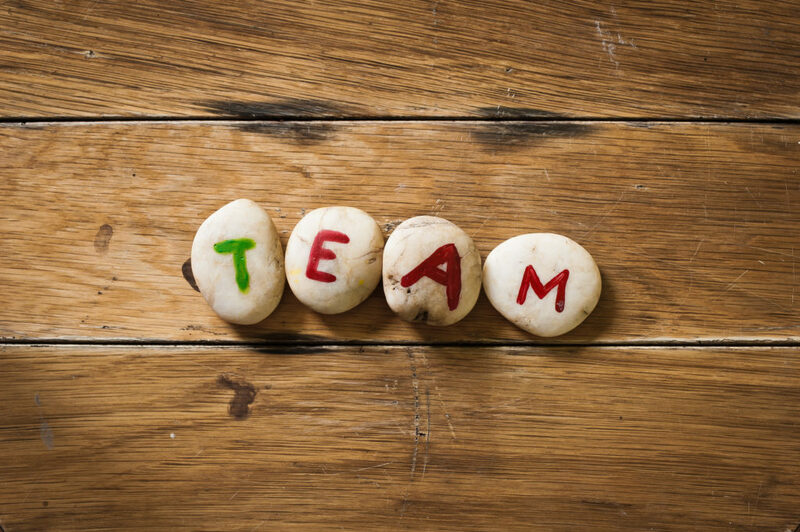 Running a successful business isn’t a singles match, it’s a team game. Major accomplishments are made through the efforts of the team. This is where your leadership skills come in. The reality is that most companies aren’t made up of top level all-star players in every position. They have a mix of talent, backgrounds, experiences, and motivation – that’s real life. The job of the leadership team is to make sure that each employee is in the right job, they understand what needs to be done, can work well together, and they provide them with feedback on how they’re doing and any course correction that’s needed. When things don’t always go according to plan, I’ll hear, “it’s their job, do I have to tell them everything?” The answer is no, but what you do need to do is to clearly spell out the direction and key goals of the business. Then, it’s easier to have each department team understand their roles, their key objectives, and the impact they make on the business. From sales to shipping, everyone has a role to play and can make the difference in having the client either say “wow” or say “what? !#?”Set the expectations and design a set of metrics that will give them the right feedback on their efforts and use these as daily, weekly and monthly checkpoints. The question always comes up – how often should we meet as a group? My answer is “often enough.” It really depends on your business and your team. How fast are things going in your company and how your business is doing will help to determine the proper timing of receiving feedback and discussing new initiatives. When things are flush, some would argue to just leave things as they are, it’s working. When things aren’t going as well as you’d like, meeting more frequently could help, as long as the meetings are productive, on point, and helpful. From five-minute shift huddles, daily production meetings, sales meetings, department meetings, quality meetings, manager meetings, senior team meetings and the occasional company meeting, you can get overwhelmed with meetings and lose sight that there’s actual work to do too.